Well, I made the cake (with much help from Mina). It tastes amazing. However, as you can see here, it looks kind of goofy. Really goofy. There is a reason for this. The reason it looks weird is that the recipe we had doesn’t make enough frosting to frost the whole cake! Next time, we’ll double the frosting part. What we did was to take the custard filling that is supposed to be between the layers, and extend it around the bottom layer. There was plenty of custard to do that, since we only made a two layer cake instead of three. 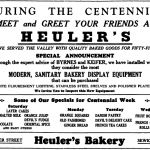 (Between the two of us we only had two 9″ cake pans and two 8″ cake pans. What is up with that?) It looks a little messy to have the custard around the outside like that — it’s wetter than the frosting. But it is heavenly. The frosting is a boiled frosting, which I don’t think I’ve ever had before. It is a little different than the buttercream I’ve made in the past, and you have to work quickly once you start frosting the cake. The frosting here is basically the classic “7-minute Frosting” recipe, with some added citrus flavor. I am going to edit the recipe post slightly to reflect what we learned while making this. 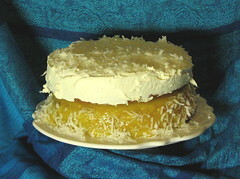 Basically, though, I’d recommend this recipe to anyone who likes citrus, coconut, and cake. It is really wonderful stuff. This caught my eye. I love coconut. I love orange cake. I must make this cake. Maybe for New Year’s. 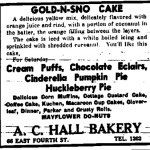 According to the book, the winning name for the cake was… Gold-N-Sno. 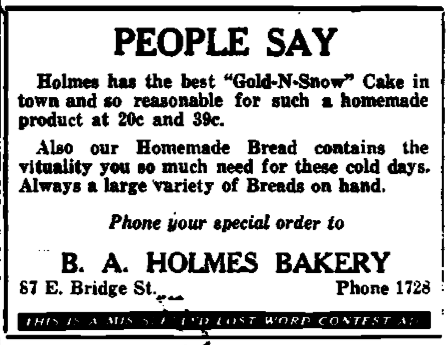 Times must have been more innocent then, because to me, golden snow means the yellow snow you had better not eat. But the cake looks good, so I’ll make it anyway. 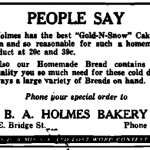 Sometimes it seems that every recipe ever written down has found its way onto the Web somewhere, so I figured I’d find the Gold-N-Sno cake — maybe spelled a little differently — with a quick Google search. How wrong I was. Still, no recipes. 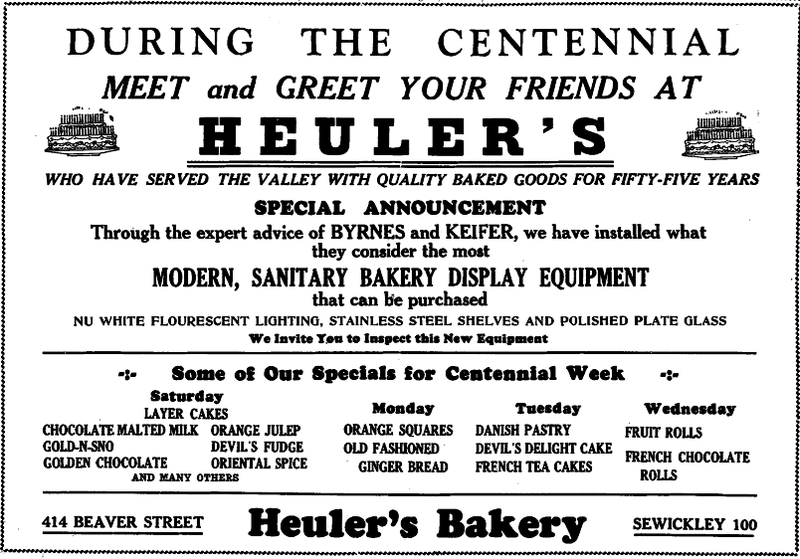 I still thought the recipe must probably be online somewhere, but someone must have changed the name. 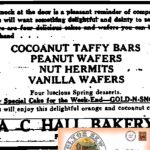 So I looked more closely at the ad pictured in Finding Betty Crocker. 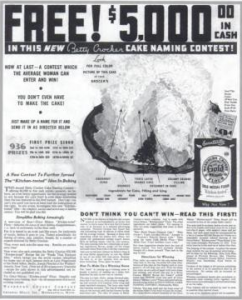 Underneath the picture of the cake, I saw that Betty Crocker ever-so-helpfully labeled every part of the cake, and listed all the ingredients. Thank you, Betty! Pour into three 9-inch cake pans, greased and floured. Bake 30 minutes in moderate oven at 350 degrees F.
Cool completely on cooling rack before frosting. Put the layers together with orange filling (see below) and cover with orange frosting (also below). Sprinkle with 3/4 cup moist shredded coconut. Mix until smooth in double boiler. Cook over water, stirring occasionally until thick, about 20 minutes. Cool. Spread between layers of cake. (Ours thickened a little more quickly than 20 minutes.) The result is sort of an orange curd; very orangey and good. IMPORTANT: When we made this, it did not make enough frosting to cover the whole cake. I recommend doubling this recipe. However, I have not yet tried it with the doubled amount so I can’t be sure the proportions wouldn’t need to be tweaked. So I’m leaving the original amount here for now. Beat constantly with rotary beater while cooking over boiling water 6-7 minutes. Beat thoroughly for about 2 minutes until it’s a spreadable consistency, and then spread on cake immediately. So. 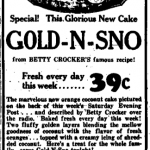 Is this the Gold-N-Sno cake from 1933? Anyone know? I think I will try it soon and see if I like it. 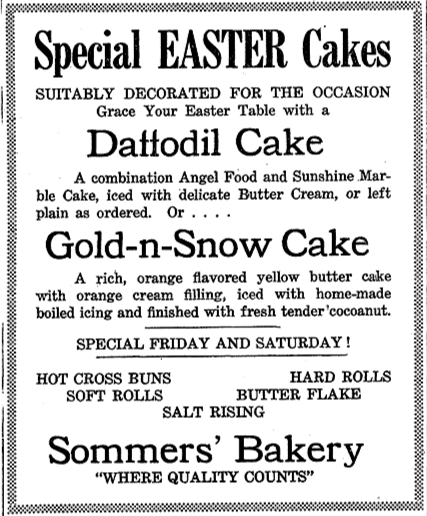 I’d like to know if it’s the same cake, and if it’s good at all. 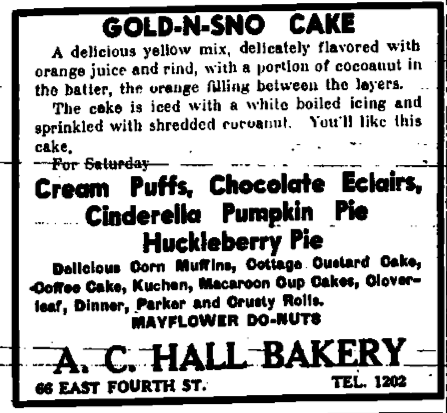 Incidentally, while researching this, I found Kitty Wells’ Orange Coconut Cake, which is somewhat similar and apparently quite tasty. 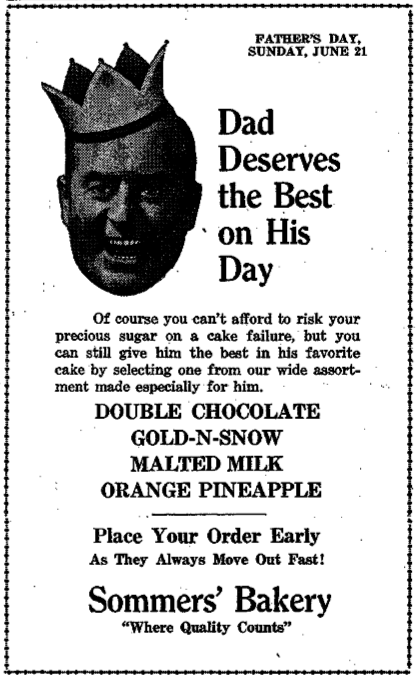 One other thing — I noticed that a couple of those vintage bakery ads mentioned “malted milk” cakes. 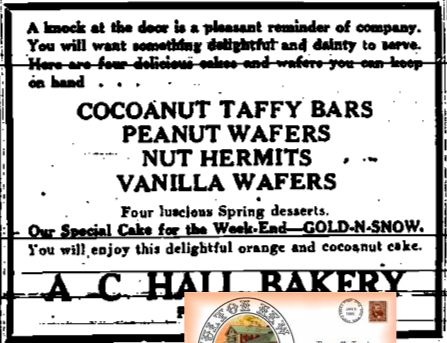 If there is any cake that sounds as good to me as orange-coconut, it is chocolate malted milk. Good God, I love chocolate malt flavor. 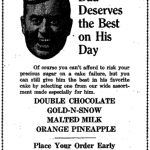 That vintage recipe, at least, is easier to track down, and the results are apparently excellent. 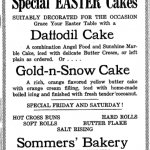 I can see I might have to make two cakes for New Year’s Eve.